Storage capacity and IOPS are critical application elements, that combined with compute and networking could lack or meet the application performance. Focusing on overall storage performance it’s true that in addition to many misunderstanding between infrastructure team and application team are the root cause of design mistakes. The new challenge is build a storage array that could grow using the building block methods, and reacts during application lifetime to ensure SLA? Nimble Storage could be a solution. CASL (Cache-Accelerated Sequential Layout) a CPU-driven storage architecture that increase usable capacity and compression. The same capability is used to provide read performance. 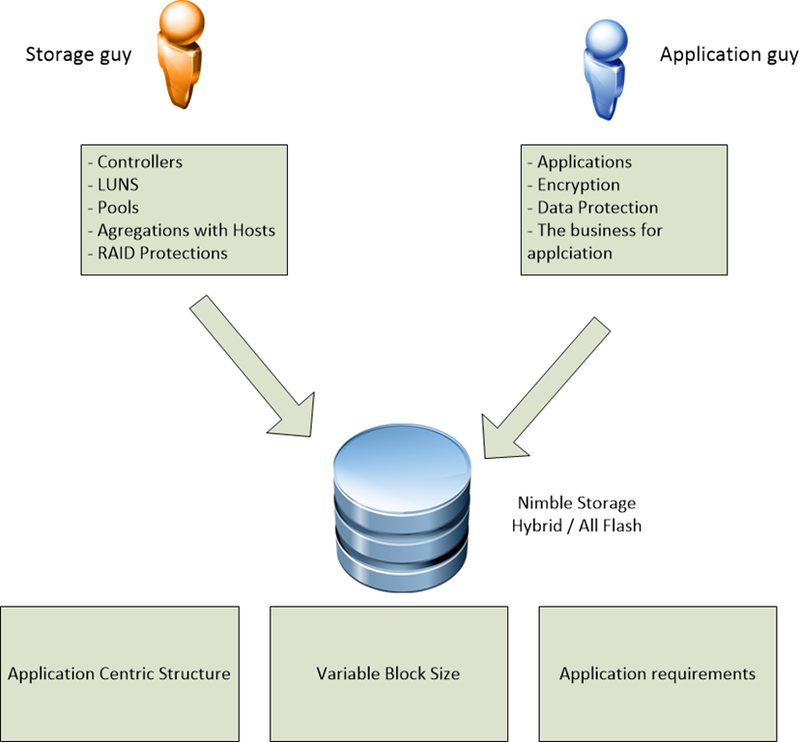 To ensure that all of these requirements are met during application lifetime Nimble Storage at the side of hybrid and all flash architecture, defines the application profiles. These could be defined as logical objects call application requirements composed by parameters like IOPS, Encryption, Protection, etc. 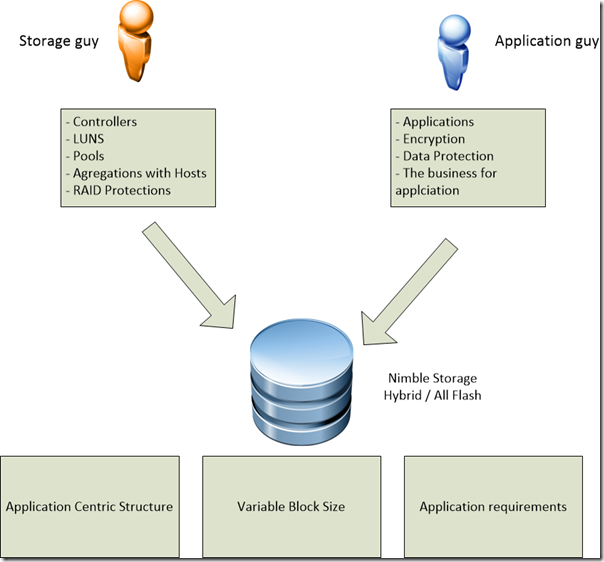 This profiles define the application policy exposed to the hypervisor or OS. Many storage vendors provides different kinds of service level: thinking about DELLEMC, NetAPP they bring support and performance as key feature during customer conversations. Sure that this product is focused on application availability and performance but it’s interesting to know more customers experience about this product and their success (or not) story. Hope to test with my hand this solution during 2017, and write more about this technology, but in the meantime agree with the Nimble’s message: application is the king! and the discussion during engagement must be opened to storage and application team. IMHO integration and performance prediction are the next challenges for storage vendors.